People have been funding the seemingly never ending development of Star Citizen since October 2012. For some backers, this has gone on for way too long and they want their sizeable payments back. Last month, Star Citizen changed its terms of service to make receiving refunds even more difficult. It originally stated money would be returned if the "relevant pledge items and/or the game" hadn’t been delivered within 18 months. But this was updated to read that refunds would only be given if "[Roberts Space Industries] has ceased development" of the game and failed to deliver promised pledges. But one of Star Citizen’s backers argued that he didn’t agree to these new TOS. While he did manage to get his $3000 pledge returned, it required help from the District Attorney of Los Angeles, the Federal Trade Commission, and the LA Department of Consumer and Business Affairs. Streetroller (his real name has not been shared) argued that because the game has changed so much since it was initially revealed, and as it still hasn’t arrived after all these years, he is entitled to a refund. He said the game “remains unfulfilled and no longer constitutes the product(s) I originally purchased”. 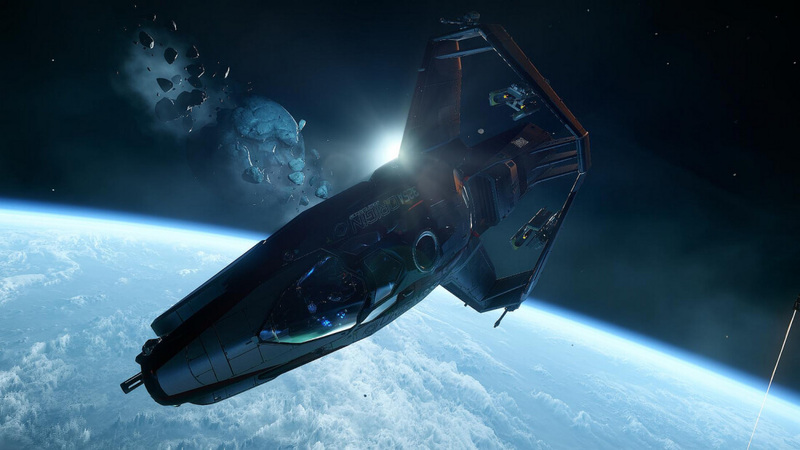 In the lengthy correspondence between Streetroller and Star Citizen developer Cloud Imperium Games (CIG), the company argues that the delivery dates were always estimates and that thanks to the constant contributions over the years, which have so far raised $117 million, the size of the game has expanded beyond expectations. “Takebacks are not compatible with the whole concept of crowdfunding since it is simply not fair to the fundraising backers who join our community every month," said CIG. The question now is whether the incident will lead to more backers asking for refunds. Star Citizen, which Streetroller called a “scam,” may be looking pretty good in its current development videos, but there’s still no solid release date – and even its most ardent supporters must be running low on patience. Speaking about the case, CIG said: "Any refunds with respect to Star Citizen are made on a discretionary basis. There was nothing special about this situation. The fact that this particular party used a complaint form that is online and openly available, doesn't make this any different."